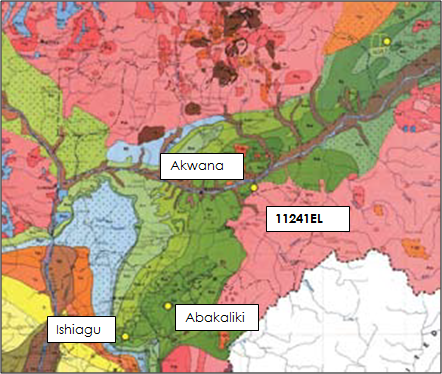 This project thus aims at a geological and economic appraisal of the Lead – Zinc Fluorite occurrence at the Akwana lease of Izabella Nigeria Limited. 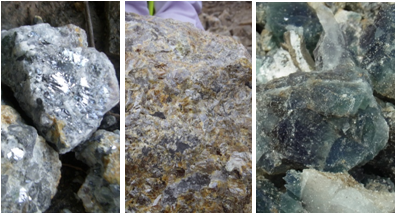 This involves systematic mapping on a scale of 1:10,000, geophysical study involving gravity and VLF study, chemical analysis of Pb ores galena and fluorite gangue. An attempt is made at calculating the estimated resource of these two commodities. The area of study is located in Akwana, Taraba State, North Central Nigeria. The site is located between Long. 7O 46’ 41” and 7O 47’ 06”E and Lat. 9O 09’ 55” and 9O 11’ 20”N (Fig 0). The area is fairly well accessible with a well tarred trunk ‘B’ road from Ugba in the west and Anyin and Arufu to the east. It is about 200km east of the Benue State capital Makurdi.